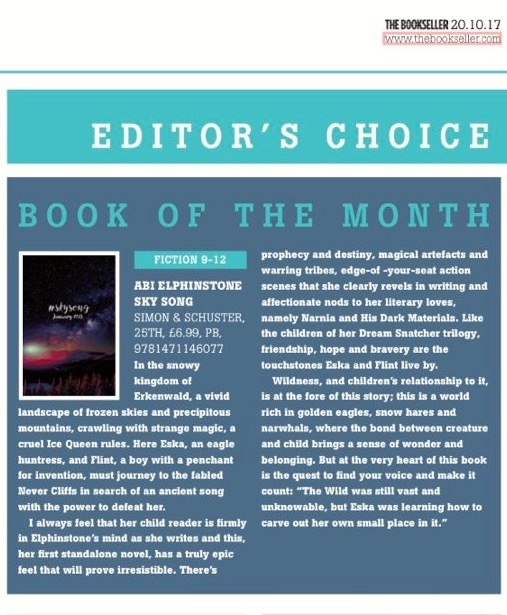 Such a delight to see Abi's first standalone title SKY SONG selected as The Bookseller's book of the month for January 2018. And what a great write up...this book is magical! Here's the announcement on Bookbrunch, and it's mentioned in The Bookseller too. Rights to Chris McGeorge’s high concept crime novel, Guess Who? (Orion), have sold in four major deals ahead of Frankfurt. Guess Who? opens with Morgan Sheppard, a TV presenter who, at aged eleven, solved the murder of his maths teacher. Twenty-five years later he wakes up in a locked hotel room with five strangers and a dead body in the bathroom. 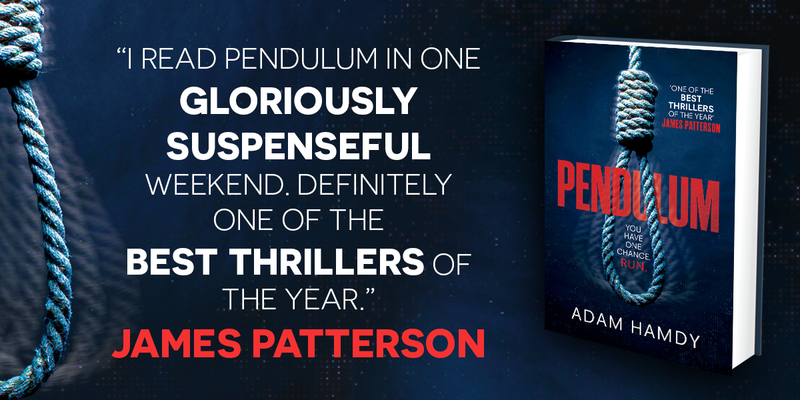 Someone in the room is the murderer and Sheppard has three hours to solve it – otherwise they all die. 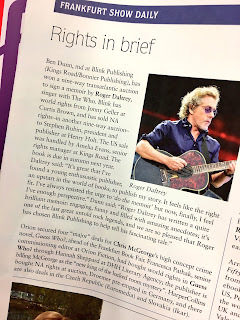 Rights were won at auction in the US (Harper Collins), pre-empted in Germany (Droemer), and sold in the Czech Republic (Euromedia) and Slovakia (Ikar). Guess Who? will be published by Orion Fiction in paperback, audio and ebook in May 2018. Lovely announcement this week about the deal for one of my DHH Literary Agency clients, Chris McGeorge. 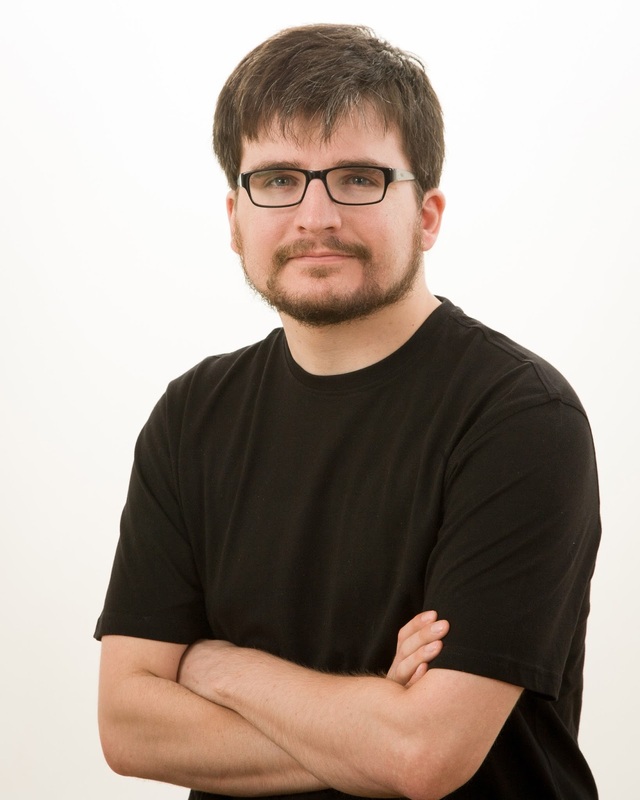 Francesca Pathak, senior commissioning editor at Orion Fiction, has acquired two novels by debut crime author Chris McGeorge, a recent graduate of the City University creative writing MA. The protagonist of McGeorge's debut Guess Who? (May 2018) is Morgan Sheppard, a TV presenter who, at the age of 11, solved the case of his murdered maths teacher. Twenty-five years later, he wakes up in a locked hotel room with five strangers and a dead body in the bathroom. Someone in the room is the murderer, and Sheppard has three hours to identify that person - otherwise they all die. Pathak said: "This book is so much fun - I raced through it in one sitting. Imagine Agatha Christie had created an interactive Escape the Room game and you get Guess Who?Chris McGeorge is the new king of the locked room mystery." McGeorge said: "Guess Who? was originally written as my masters thesis and I had a lot of fun with the concept. I am very excited to be able to share this story with the world." Here's the announcement in the Bookseller. 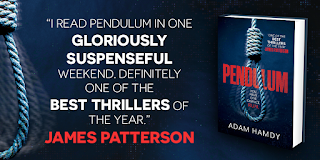 On Monday 9th Jan Adam Hamdy's PENDULUM was discussed as part of Simon Mayo's Radio 2 Book Club. Delighted to see that three of my DHH Literary Agency client's books were featured on the Love Reading 4 Kids favourite books of 2016 list. It's also really pleasing to see two books I gave early editorial feedback on make the list. 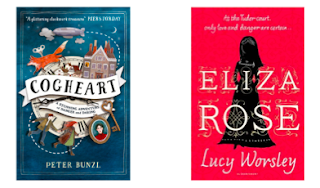 These are all great books (I may be a little biased) so do check them out.